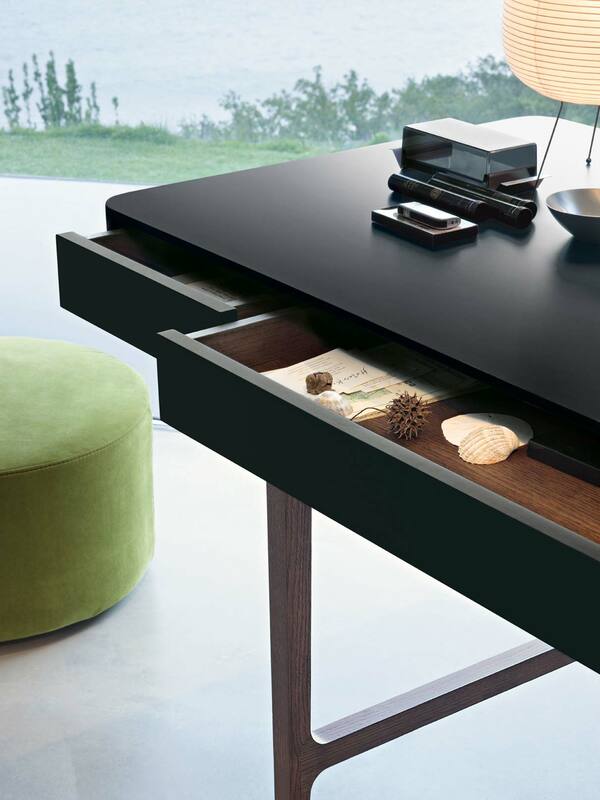 The Victor writing desk from Lema, designed by Roberto Lazzeroni. 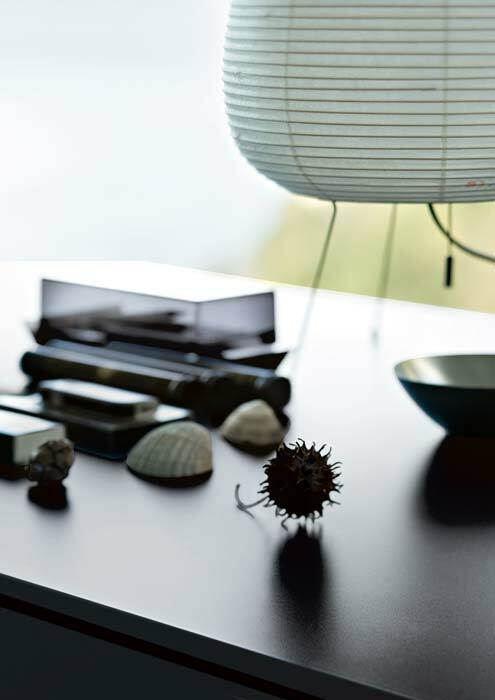 Inspired by the distinctive style of Lazzeroni who proposes a modern re-interpretation of vintage pieces, Victor stands out for the harmonious contrast between the classical shapes of a design in solid wood and lacquered matt top, available in over 40 colours of Lema’s collection. The structure also hides useful and functional drawers.